As promised last week, here is an introduction to the Bullet Journal method. As creator Ryder Carroll says, it's an "analog system for the digital age." Writing by hand is proven to help you retain information and improve focus. 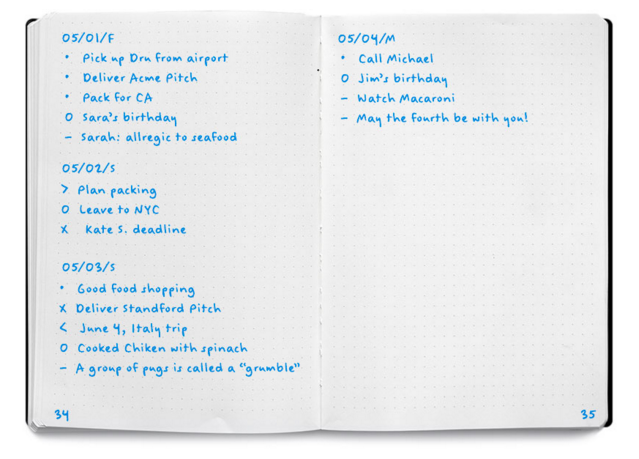 This is a really cool system for keeping track of your life with a pen and paper. Read the getting started guide or watch this four-minute video to learn how it works. How to create an "Idea Index"